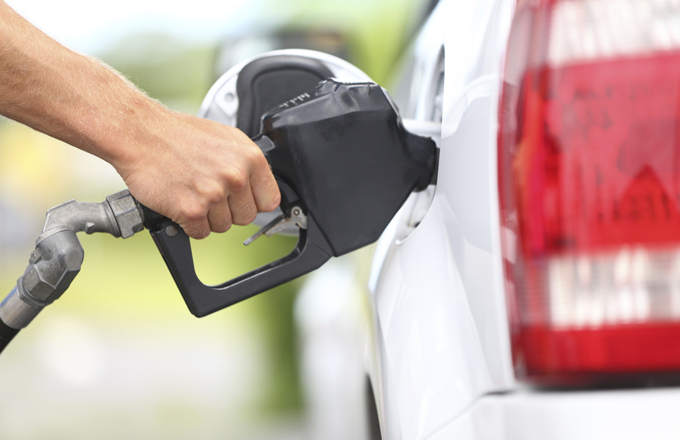 › Economics Posts › Should the Price of Gasoline Be Regulated? Should the Price of Gasoline Be Regulated? Gasoline prices have never been stable since time immemorial and equally debates on the price regulation have always been discussed. The proponents of price regulations view price ceilings impositions as the answer to the rising gasoline prices. The debate which was fueled by the aftermath of Hurricane Katrina in 2005 which saw the gasoline prices reach an all time high (Capie and Wood, 39). Since then the public has always been concerned on whether price controls will benefit them or will have more negative consequences. There are those who support the debate say that firms will be more competitive if lower prices are set while those opposed think it will lead to shortages and other negative consequences. Perhaps this divided argument is what has kept legislators shy of passing the regulation motion except in Hawaii where price control was passed in 2004 (Rockoff, 14). Further still is the implications such a policy might bring, therefore, it is not surprising that the policy makers are taking their time in passing such laws. The issue of price control is not new and I will highlight some of instances where price control was in place and the consequences of such measures. In order to understand what might control mean I did a research on the economical interpretation of price control. I have also tried to trace the reasons why the gasoline prices have continued to rise and the effects of such high prices on the American citizen. I will also highlight some of the argument for and against the proposed price regulation and the merit of each proposal. The debate on every Americans mouth is about the rising prices of gasoline. This is because with the wages remaining constant the rise affects their lives in all aspects. Kalt, (44) says gasoline prices are rising and doing so very fast. Since spring 2004 the prices of gasoline have been very volatile and economic experts have attributed this to a number of factors. Crude oil prices have continued to rise because of demand and supply factors across the world. Some events like terrorism in middle east and natural disaster like Hurricane Katrina have disrupted supply leading to shortage hence high prices(Kalt, 45). With rapid industrialization of nations like China consumption has gone up very high leading to demand exceeding supply hence high prices. This means when the crude oil prices are high the gasoline prices are affected up ward. According to Kalt (46) crude oil accounts for 54% cost of gasoline while processes such as refining, distributing and marketing account for 30% with 16% being attributed to tax. US have been mostly affected since its citizens have high demand for gasoline has increased especially with economic growth experienced since 2007. The situation is made worse since US lacks adequate refining capacity especially since the pollution requirements are so strict on the quality of refined product (Capie and Wood, 36). Closer home there are those who feel that the some measures by the Obama government is what has led to rising gas prices. The administration has restricted domestic oil production, the environmental protection agency has also pushed for expanded cap-and-trade regulations and the proposed increased energy taxes are blamed for the increase in gasoline prices (Keen and Overberg, 10). There are those whose feel that we are judging the Obama government so harshly as the political unrest in Middle East are the most possible causes of the high gasoline prices. The high prices of gasoline have affected all aspects of the American citizen. A Gallup Poll conducted by US Today newspaper wanted to find out how the American are reacting adjusting their lifestyles to deal with high gasoline prices. The poll found put that as prices of gasoline went up to $4 a gallon, the American said they were cutting back on other household spending to cater for the rising prices (Keen and Overberg, 9). Others who were interviewed were considering buying fuel efficient cars and minimizing the car usage by consolidating their errands. The poll found out that previously the American was less concerned with the gas prices as they were of other commodities. However, this time around most of the people are feeling the pinch. Keen and Overberg (10) say that the American have been known to consume the most energy as compared to other people in developing world. This habit might be changing as people abandon their expensive lifestyle and make economical adjustment especially with the rising cost of living caused by the recent economic crisis. This lifestyle changes will reduce dependence on foreign oil and in fact might go along in way conserving out environment. The poll found out that one way the American are adjusting is by cutting on miles they drove. The study borrowed data from federal highways administration which showed that the average miles that the average American drove fell by 0.4% as compared to last year(2007) (.Keen and Overberg, 9). The data report added that this scale is only comparable to data obtained in 1980-81 when such as similar situation was witnessed. Those arguing for the price control are quoting such confessions from the average American citizen. They argue that the government should do something to stop the suffering of the American citizen. Those against say while it might be advantageous to some the economic cost of such regulations should not be ignored. However, I would like to point out that if the confessions of the hardships the American is facing because of high gasoline prices is anything to go by, it shows something need to be done. It is time the policy makers thought of ways whether price control or otherwise to make the life if the American more bearable. Market prices are determined by the factors of supply and demand. In a free market the consumer preferences are responsible for determining the market prices. When all factors are held constant the consumers will demand more if the price of a commodity rises and vice versa (Capie and Wood, 46). The suppliers also decide at what price they are able and willing to supply and it’s obvious that when the consumers are willing to pay more the supply will increase. When the quantity demanded is equal to the quality supplied the market is known to be at equilibrium. Price control when implemented disrupts this equilibrium because the price set will always be too high or too low. This means when the prices are high the consumers are not willing to buy but the suppliers are willing leading to excess supply. Likewise when the set prices are too low the consumers will demand more but the suppliers will be hesitant to offer the product leading to shortages (Taussing, 205). This economic effect of price control is what has divided the proponents and opponents of gasoline price control as will be discussed below. The soaring gasoline prices have rekindled the biggest debate in American history. The argument is whether the prices of gasoline should be regulated as those of electricity and water. The debate of price control is not new. The governments since ancient times have always been trying to set maximum or minimum prices for various commodities. Most recently the US government has managed to regulate the price of apartment in New York and to set minimum wages for unskilled laborers (Capie and Wood, 52). The government are not only able to fix prices but also go beyond and try to control the general level of process as was the case in the US during both world wars and Korean wars by Nixon in 1971 to 1973. This regulation has been criticized by economists today who say that the prices control then was responsible for the volatile prices, supply shortages and long queues at the gas pumps ( Capie and Wood, 54). The above consequences of price controls could be reason why some economists have taken a hard-line against gasoline price regulation. Price control appeals are very attractive to those who do not know of the far reaching consequences. Most economists are skeptical about price controls for they distort allocation of resources (Rockoff, 16). Price control means setting price ceilings and economists warns that this can cause shortages. This is also true for price floor which cause surpluses for sometime. (Rockoff, 12) gives an example by supposing the price of wheat flour was fixed at a minimum lower price, the supply will decrease while the demand increases. In time the excess demand will mean only some consumers will be lucky to purchase the wheat at that lower price while other will go without. Minimum price control is also responsible for queue mechanism. (Rockoff, 24) give an example of the situation which was present in Eastern Europe when price control was in place. He further adds that a similar situation was also present in US between 1973 and 1979 when the gasoline prices were set at maximum by the government. The demand was too much and since dealers sod at first come first served basis drivers had to wait for too long in the queues. He says the economic cost of time and cash paid for the gasoline was too high all because or price control. Rockoff (42) does not refuse that there are instances when price control was used effectively. He says the high interest of loans that was imposed by government was aimed to protect those who wanted to borrow out of desperation. Likewise setting a maximum price for bread was successful in protecting the poor who would have been devastated by high prices. Further still the price control on rents was to protect the tenants from greedy landlords who would increase prices since demand exceeded supply. He is quick to note that despite the successful use of price controls it should never be an option for a long term solution except for emergency. Rockoff (45) quotes a survey which was published in 1992 where 76.3% of economist interviewed agreed that the ceiling which was out ion rants reduced quality and quantity of housing in New York. He explains that most economists are skeptical about price controls for they can distort resources allocation. Since the prices set are either too low or too high on the equilibrium surpluses and shortage are inevitable. In the case of gasoline people are pushing for the government to lower prices which might lead to shortages as similar situations have been observed in the past. Rockoff (42) says that firms have been known to evade controls by adopting certain incentives. Though the avenues may be limited since it mainly depends on the nature of goods or services, they are never lacking. One of the ways firms evade control is through quality deterioration. Although quality deterioration in gasoline may be hard since the government has laws on pollution control it is not entirely impossible. Similar cases of quality deterioration have been in cited in Quebec where the dealers offer sub standard gasoline in the market. To cut cost they do not complete the refining process. He adds that the bureaucracy of watching for quality deterioration in the gasoline industry may price to be so expensive for the government. When the quality deterioration evasion strategy does not work the firms may apply the tie-in sale as was the case during World War I when those who wanted to buy wheat flour were required to but unwanted potato flour (Capie and Wood, 57). Still the manufactures can employ forced up trading and was the case in US during work war II when the government attempt to make cloths manufactures to produce the low price clothes were unfruitful. Some price control measures may leave consumers desperate to obtain the products mainly due to shortages of long queues. This desperation might lead to evolution of black markets where because of the risks involved the sellers charge high prices and the consumers are willing to pay the high prices (Capie and Wood, 62). The demerits of price control such as shortages, queues and black markets may result the government to take rationing measures. For example in the case of gasoline the consumers may be provided with coupons where they are required to purchase a fixed quantity of gasoline to ensure every one got a share. Rationing might solve the problems identified above as Rockoff (58) explains; however, it comes at a cost to the government. The government must keep track of the fluctuating supplies and demands and needs of individual consumers so as to adjust the rations provisions. For example consumers may need to cover long distances to attend conferences related to their work hence their rations must be adjusted upwardly. Rockoff (58) argues that a good mechanism when in place can solve the logistic issues but he foresees other problems. Rationing can promote corruption and favoritism if the proper laws to manage rationings are not in place. The above problems might not have a great impact in today’s patriotic economy but they should not be ignored. After highlighting all the above issues and problems of price controls Rockoff explicit why despite the negative consequences some governments have continued to impose and maintain the controls. He says most of the time is to fulfill political promises. The public are not able to see the link between the price control and the resultant problems and thus are always pushing the elected politics legislatives to impose them. The politicians in an effort to please their supporters move the price control motions despite the looming problems. This is the problem facing the Obama government because the public is alarmed of the inflation which seems to be out of control. The policy makers in the current government are torn between whether they make a positive psychological satisfaction to the supporters by passing the price control bill which will be beneficial in the short run, or they should risk losing the political support by refusing to pass the bill. On the other hand there are those who support gasoline prices to be controlled. Those advocating for regulation want the government to enforce price controls and windfall profit taxes (Taylor and Doren, 2). They say that the supporters argue that currently the gasoline markets are not competitive as some producers have been accused of price collusion (Taylor and Doren, 3). The producers have been known to earn unanticipated huge profits through price collusion and supply control. They earn these big profits at the expense of consumers hence price control and windfall profits taxes would combat this problem. These two measures are capable of ensuring wealth redistribution from producers to consumers without any significant effect in supply (Taylor and Doren, 4). The supporters have been heard arguing that the profits of the oil dealers are unearned most of times since no additional cost or effort is incurred to generate them. What the oil dealers do is watch news and incase of any mention of price changes of crude oil upwards they skyrocket the prices thus end up earning abnormal profits (Taylor and Doren, 6). They add that by taxing the profits the dealers will shy away from increasing prices. This argument has been criticized for it is viewed as discouragement to oil business investment. Taylor and Doren, (12) cites that the critics of these arguments say that the gasoline markets should not be accused as being uncompetitive. We cannot deny the bottom line point of the above argument. The American are suffering because if the rising gasoline oil prices. The unstable crude oil prices in the world plus some other factors have contributed the high prices of gas. The average American in an effort to cope with the rising prices has been forced to modify their lifestyle in terms of household spending and vehicles use. Those who have voiced their opinion on the solution to the current problems calls for price control and windfall profits taxes. They argue that the un-competitiveness in the oil industry does nothing but enrich the producers through price collusion at the expense of the consumers. This solution has been termed as short term and inappropriate by those who are against it. They argue that in history price control has been known to cause economic problems when it was implemented. Economic history on price control shows that price control cause shortages, building of queues and evolution of black markets. While the windfall profit taxes have been known to cause exit and discourage entry of potential investors. Despite the arguments the government should take note that the average citizen is suffering and thus should take the most economic efficient measures to stop the suffering.